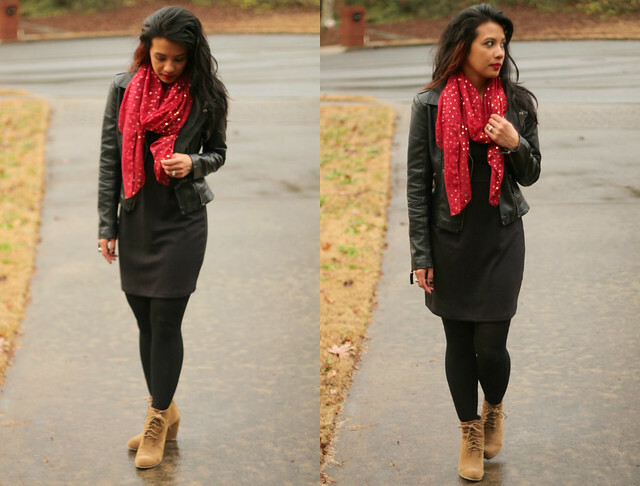 thoughts on making resolutions + a long over-due outfit post. i didn't mean to leave you all with just crickets last week. with christmas travels and holiday happenings, i didn't crack my laptop once as i was spending time with family and soaking up every bit of my time at home. it was bliss. i am hoping that you too were busy soaking in the moments of the present rather than social media. sometimes we need that...amen? in other news, it's hard to believe that we are saying good-bye to 2013 and saying hello to 2014 at midnight tonight. like my dad always says, it's just another page in the calendar. and he's right. people always feel to suddenly change for the better in a new year - and there is nothing wrong with that; but in actuality, we have the opportunity to makes changes any day of the year because each day is a new day. it makes me think of this verse: the steadfast love of the Lord never ceases; his mercies never come to an end. they are new every morning; great is your faithfulness (Lamentations 3:22-23). makes me thankful that each new day, we are given a clean slate, a second chance to live better and fully. and please, don't get me wrong. i am not against making resolutions or creating new goals for oneself. i am making my own list of goals for the new year. we need to set our standards high so that we can grow and be better people; however, i think we cheat ourselves when we don't carry that attitude to every day of our lives and only exercise it when the calendar reads January 1st. what are your thoughts on resolutions and goals for the new year? wishing you all a wonderful Christmas, surrounded by your favorite people and those you love the most. we love celebrating the good things (being with family, exchanging presents, putting up Christmas decorations, etc.) that come with the Christmas season, but ultimately, we celebrate the birth of Jesus and the reason why He came from heaven to earth. it is because of Jesus, his birth, death and resurrection that we truly live. may you know or come to know His incredible, sacrificial love for you this Christmas. thankfulness is not a big enough word to describe how i feel for this man today. today is the day we celebrate his birthday but it's more than that for our family - it's a day where we remember how good we have it to call this man our father. i cannot remember a time where i look back and daddy was not there for me. ever since that first jump into the deep end of the pool or jumping the big waves at hunting island's beaches, i have always known that he would be there to catch me. or when he taught me how to ride my bike and i was too afraid to pedal, i knew he would be there for me. and when he dropped me off to college and hugged me so tight like he'd never let me go, i knew he would still be there for me even if there were miles between us. and i know that not every daughter can say this. 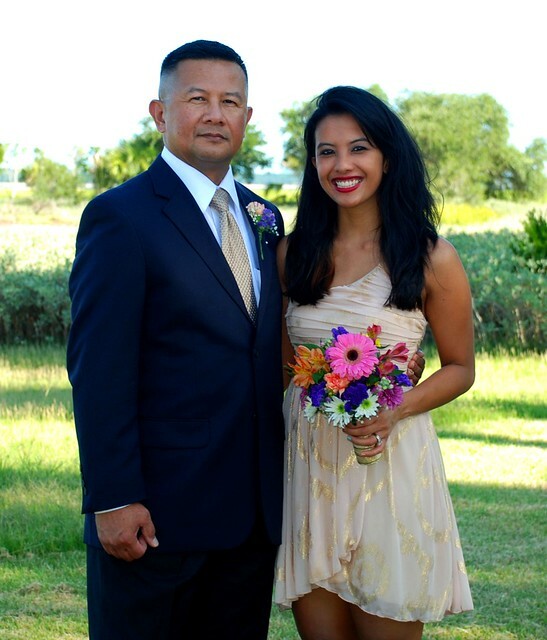 my father is the kind of man that is a rarity these days. which only makes my heart swell even more with gratefulness. this man is the first man i ever loved. the first man to hold my hand. the first man to tell me I was beautiful. the first man to always encourage me to pursue my dreams. the first man to point me to Jesus. thank you for being the best daddy a girl could ever have. 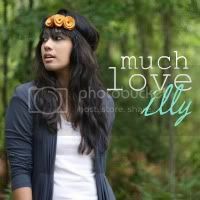 i love you so much! i know i was a pretty gosh darn good wife. sure, i pretty much gave myself a pat on the back, didn't i? but yeaaaaah, i have been a horrible blogger this week. however, i have been a fantastic wife since all my attention was on my man. i didn't open up my laptop one time and just spent every single second of it with my husband. no emails. no blogging. just me, my husband and the beach. it was heavenly. i have so many pictures to share from our amazing time away but for now, as i try to unpack, do laundry and finish up on last minute christmas to-dos, here is an outfit post from the night we went out to celebrate our one year anniversary (can you believe it's been a year?! i know i keep saying that - but it still shocks me...in a good way. i suppose it's true: time flies by when you're have fun!). 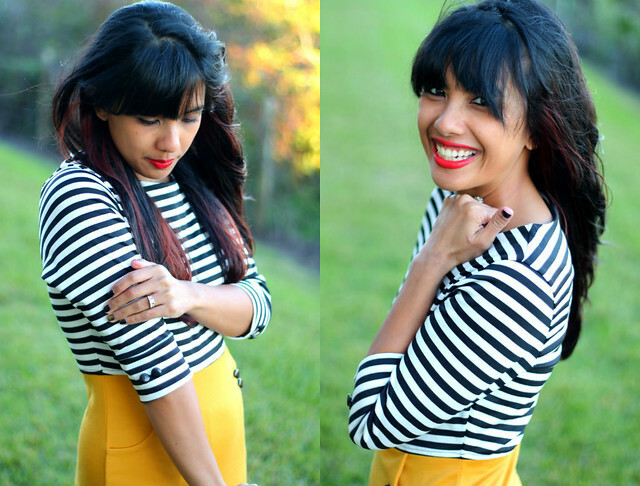 i loved this dress from my friends at shabby apple - the stripes and the mustard combo are my favorite and i adore the little buttons and pockets that add so much detail to the dress! and the material is so stretchy and comfortable - perfect for my tummy as i stuffed it full with so much sushi until i couldn't walk. talk about a mega food baby. 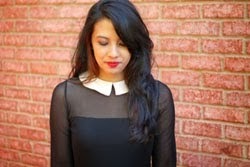 and this vintage clothing inspired dress is just so up my alley, it's going to be worn so much this holiday season! and speaking of the holiday season, hope everybody enjoys this last weekend before Christmas. woohoo! 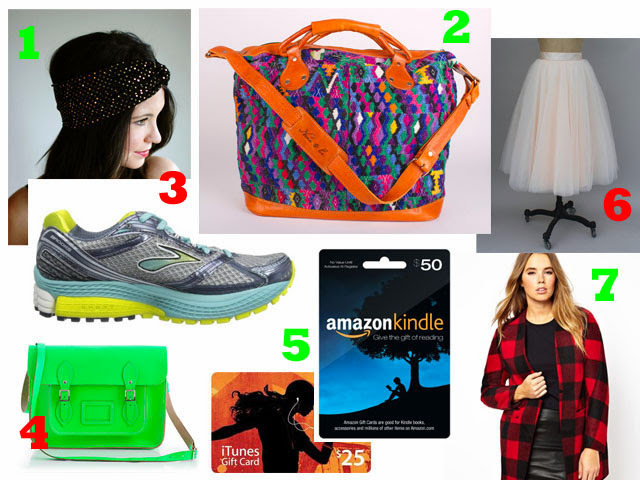 my Christmas wishlist + $200 Amazon Gift Card Giveaway!!!!!! who isn't writing up wish lists during this time of the year? but to be honest, whenever people have asked me what i want, i don't really even know what to say. you know you are getting old when you're answer is i have everything i need. nevertheless, coming up with a wishlist is always fun...and there is always room for fun! 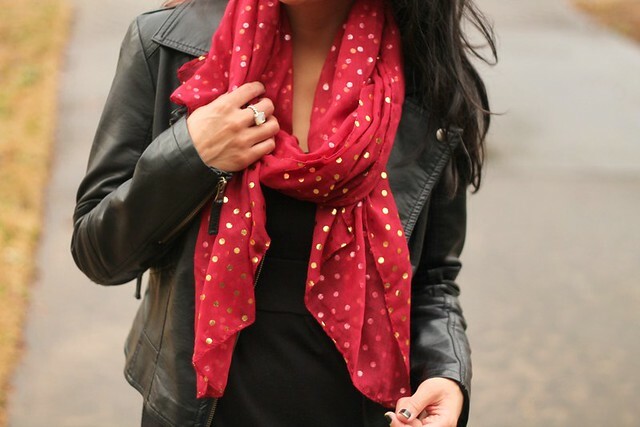 being in love with the holiday season, these gorgeous holiday headbands (especially her newest gold velvet one!) from Rayna's newest collection def caught my eye when they launched this week. and since i've gotten into running this year, i would never turn away a brand new pair of Brooks running shoes and of course, a new itunes gift card to download more pavement pounding music! and then some other fun things that have caught my eye around blog world from a plaid coat to colorful bags and a fun, girly tulle skirt! and ah yes, a kindle gc is a given for me - love when my kindle is full of unread, brand new books! and speaking of Christmas and wishlists, Coupons.com is holding a MASSIVE (*insert British accent here*) Coupons.com Holiday Sweepstakes for you to be able to shop for every single person on your Christmas shopping list! looking for a gift for mom? dad? teens? kids? though i am not a teen (even though i look it! 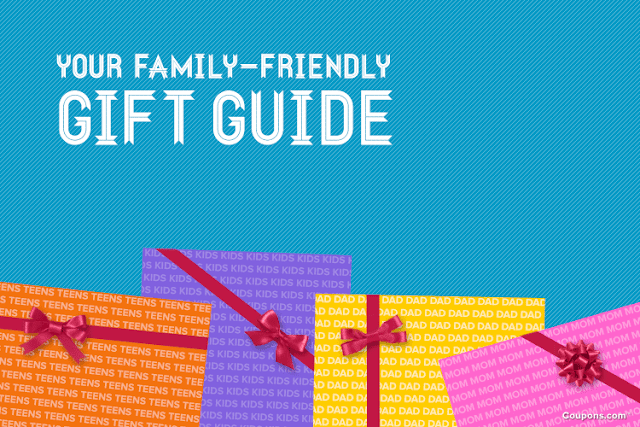 ), i probably am the biggest fan of the Coupons.com holiday gift guides for teens! i mean, come on - Urban Outfitters? Naked 2 Palette? heck yes. and each holiday gift guide offers amazing deals and coupons and then be sure to scroll to the bottom of the guide and enter the giveaway for a chance to win from those gift guides! Giveaway is open to US Much Love, illy readers. May the odds for ever in your favor! 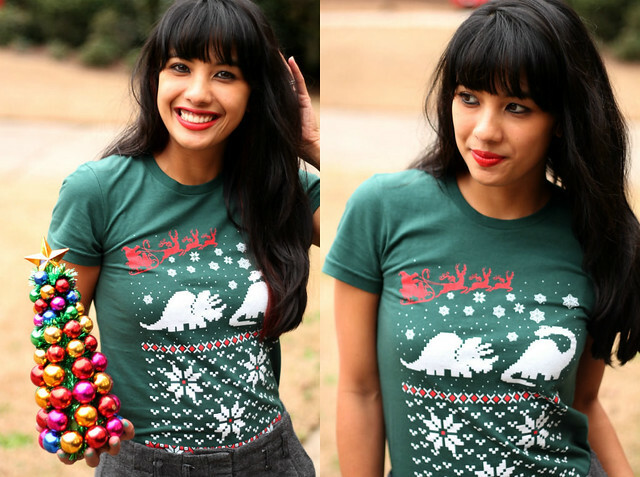 ...like this ugly christmas sweater t-shirt! i told Ryan i was going to wear it to our youth group's ugly christmas sweater party this week, and he said but it's cute! true but it's still ugly...right?! 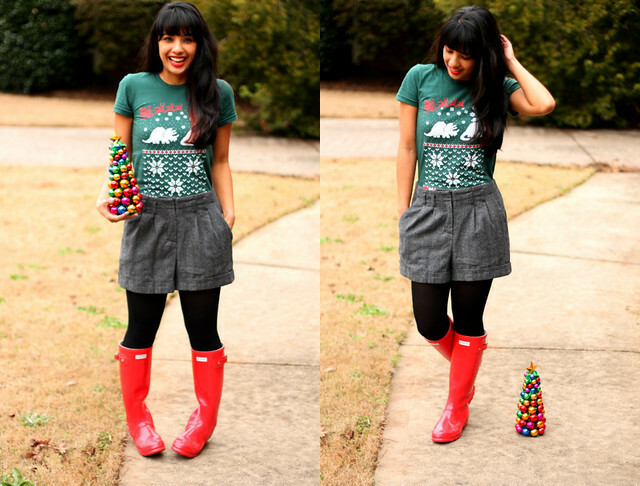 but seriously, i love this tee and has become a Christmas staple. how could it not? and those non-traditional dinos kill me! aside from rocking ugly christmas sweaters and attending an upcoming Christmas party, i'm checking things off of my Christmas to-do list one after the other and feeling more ahead of them game than past Christmases. i think part of this has to do with trying to get things done earlier this year especially since i made it a personal goal to truly enjoy and celebrate the Christmas season with Ryan and with family and friends and not to get so easily distracted or stressed by the everything that seems to try to distract and stress me out this time of the year. ...sharing a cup of holiday coffee drinks at Starbucks with a friend. ...designing and mailing out our Christmas cards. ...decorating the apartment for the holiday season. ...counting the blessings of loved ones that we can give gifts too. ...savoring the words of traditional Christmas songs. ...quiet evening conversations with my husband by the Christmas tree. ...indulging in cookie pizza on the living room. ...reading through the Christmas story, not just on Christmas day. hope everybody has a fabulous beginning of the week! 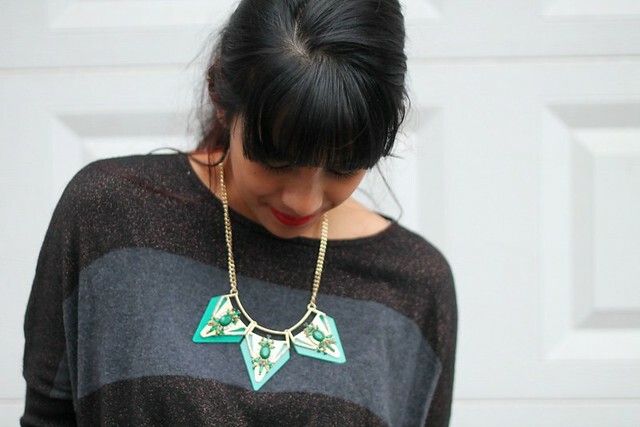 wear that ugly Christmas sweater or those obnoxious Christmas light earrings. indulge in a peppermint mocha (or two!) with your best girlfriend. blast All I Want for Christmas is You super loud while wrapping presents. find joy today and all season long, friend. if you like to eat anything. from fast food to anything home-cooked with a lot of flavor to snacks and to candy and to anything combined with peanut butter. or peanut butter alone. i love food. and if you love food, we could talk and eat it for hours. if you loved her as much as i did and dressed up like her when you went to school. if you grew up watching all the Anne movies and crushing on Gilbert and wishing you had red hair like Anne Shirley - rather you wanted to be Anne Shirley. if you grew up team N*SYNC and really only watched the 2013 VMAs for their 19 second appearance and fell even more in love (if possible) with JT. if random commercials crack you up as hard as they crack me up (and you know i look forward to Super Bowl commercial season). i sometimes enjoy them more than the actual tv show i'm watching. if you talk about celebrities or famous people like you know them in real life - i'm talking first name basis, people. if some of your childhood favorite books include Little House on the Prairie, The Babysitters Club series, Boxcar Children and any of Beverly Cleary books. and speaking of Babysitters Club, if Claudia was your favorite and the fact that she hid junk food around the room made her want to be your new best friend. if you wanted to meet up at Starbucks for coffee. if this makes you cry laughing. if you've watched every single episode of Lost and at the mention of the show you quote, see ya in another life, brotha. if you've watched every single episode of The Office and still miss Michael Scott. if you read more YA fiction than anything else. if you have a collection of journals since the 1st grade. if you're favorite song comes on the radio and your reaction is this. so do you think we could be friends or at least start up a conversation over some lattes at Starbucks? what's on your list? i'd love to read it, so just include one in the post below if you write on up on. got this fun post idea from Danni of Sometimes Sweet! woohoo! today is the big day friends - you know that i was talking about the other day over here? um, no? okay. then i'll blame it on the testosterone in the turkey. but hey, what matters is that you are here right now! i have teamed up with the incredible people of DSW. heard of them? yeah, i thought so. i am a big fan of them myself so i am super stoked to collab with them! first off you already know how much i am in LOVE with these CV Tabitha ankle boots they sent me. they are comfortable with only a 1 1/2 in heel and oh so classy with its rounded toe and sude. seriously, this is my new favorite pair of shoes and have tried to wear them with as many outfits as possible. i think i'm running out of clothes to do that, but hey, i'm trying. okay, maybe that was Ryan making me laugh and encouraging my goofiness. but either they way, these boots and Ryan make a good team. *rubs hands together* okay, so that is not even the best part about this post. the even better part about it is that DSW wants me to share my love for them with YOU, friends. 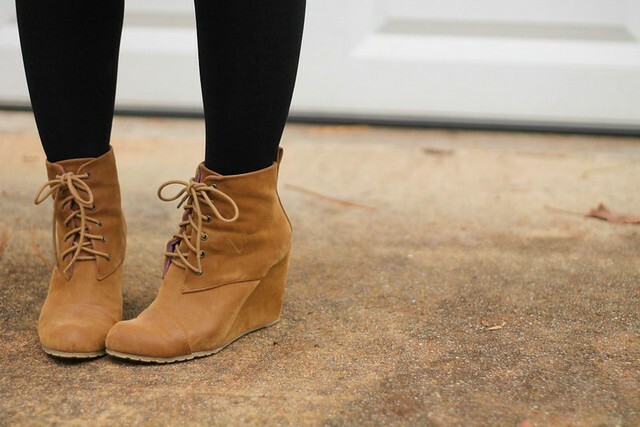 so today, i am giving away 5 pairs of shoes ($50 DSW gift cards!) 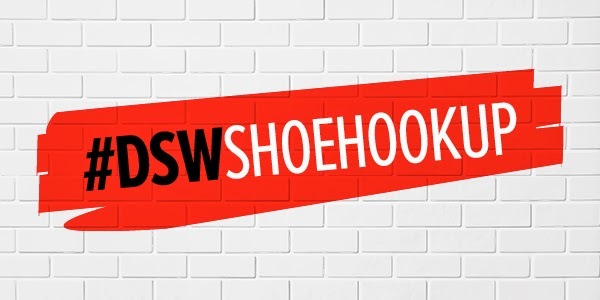 and 5 copies of DSW's NY Best-selling Book, Do You Speak Shoelover? not only have i teamed up with DSW, i have teamed up with 49 other fashion bloggers who are also giving away 5 pairs of shoes and 5 books so that's (grab your calculator if you need to!) 250 WINNERS! 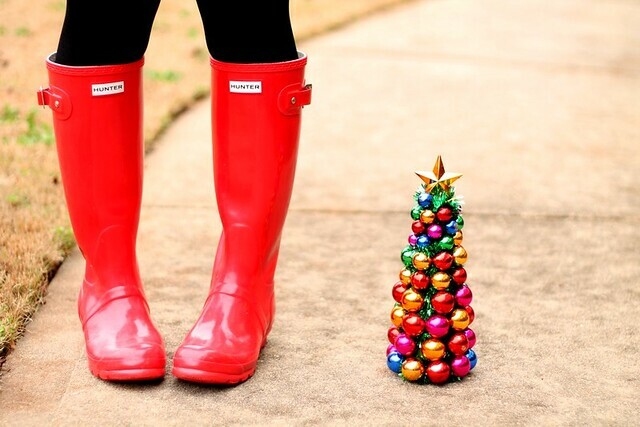 so tell your mother, sister, uncle, neighbor or any shoe lover you know! and it's super easy to kick start this giveaway. 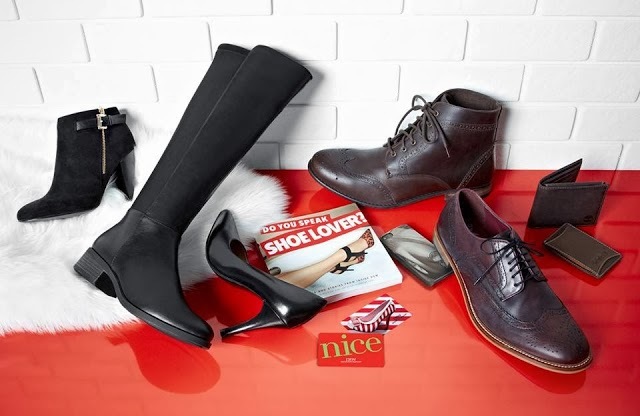 here's how, folks: just sign up for the DSW Rewards program! it's TOTALLY FREE with a ton of benefits - including rewards, free shipping and even a birthday gift. i mean, come on. total win-win! then once you do that, it opens up the other rafflecopter entries for you to have even more chances to win! Giveaway is open to US Much Love, illy readers from 12/4 through 12/7. Individuals winning more than one giveaway will receive 1 prize and other winning entries will be disqualified and an alternate winner will be chosen. Winner will be announced on 12/8. May the odds be in your favor! and be sure to check out these fashion bloggers because 1) they are fabulous and 2) it'll only increase your chances of winning. again another win-win-win, right?! beyond the thankful month + thanksgiving 2013 snapshots. yeah, yeah. i know it's officially december. and that all thankful posts should have been posted a couple of days ago; however, two things: 1) i was busy spending time with my husband and his family and the leftover pumpkin pie and tub of cool whip 2) i have been thinking a lot about gratefulness before and beyond the month of november. being thankful has felt like a year long challenge, not just a month long one or even a one day holiday. the particular life situation we have been going through has definitely made my heart grumble or complain more than i care to admit. however, what i am learning is that thankfulness itself is not affected by the situation you are in. God didn't say "if you have to deal with _______________ or with _______________ that it's okay to gripe and complain. you deserve to whine for all that you have gone through. go and have a pity-party." NO. as followers of Jesus, we are called to be more than that. so today instead of complaining, grumbling or even asking for anything at all, it's a day to give total thanks 'cause we truly have so much to be thankful for. i wrote that on thanksgiving morning during my quiet time and i have actually looked back at that entry several times over the weekend. and Ryan and i go back and forth reminding each other of all the good things that God has blessed us with - and it's interesting to see one's hardened, grumbling heart transform into a grateful one when you open your eyes and realize how much good things you posses to be grateful for. it was our first married one together so it was def special. we enjoyed a thanksgiving feast (pumpkin pies courtesy of yours truly!) with his wonderful family and even made a mad dash to some of the Black Thursday Friday happenings. to be honest, there was a piece of my heart that missed my family and our own thanksgiving traditions but i think that is something i will always feel when i am apart from my parents and sisters, no matter what holiday. thank goodness for technology 'cause all of us can stay connected that way! and of course, the random, disheveled Santa at Walmart when we went to pick up pictures from the photo center. however, he was the nicest guy ever and so was his assistant, so we couldn't say no when they asked if we would be the first to test out their camera as they prepared for their day of Christmas pictures. this picture still cracks me up. it's so random - and Santa, your beard and unbutton jacket. too much. hashtag crying laughing. and last but not least, THIS is on the top of my list of things i am thankful for. leftover pumpkin pie. best thing ever. and yes, as i have been informed on IG, i do not have enough whip cream on this pie - this, i know. i ran out so that was all that was left in the tub. either way, whip cream or not, this pie made me one happy stuffed turkey. peace out, peeps as i go eat the leftover crumbs from the last slice of pumpkin pie. p.s. are you GB Liem 'cause you just won the suh-weet Queeni Kathleeni giveaway! shoot me an email at muchloveilly at gmail dot com to claim your prize. congrats to GB and thank you, Katie for one rocking giveaway! goodbyes and hellos (and a fun collab announcement you won't wanna miss!). november // you were a good month. pumpkin pie // because you have disappeared and have been devoured by the Butler clan. autumn leaves // as you get carried away by the wind and lose your gorgeous colors. old refrigerator // it was time for you to retire. fear and worry // i am so over you. 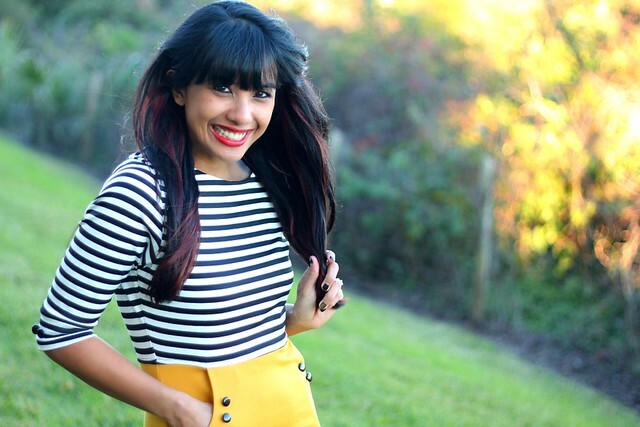 bangs and bright red streaks // welcome back! what are you saying goodbye and hello to in the new month of december? p.s. and last but not least, calling all shoe lovers! 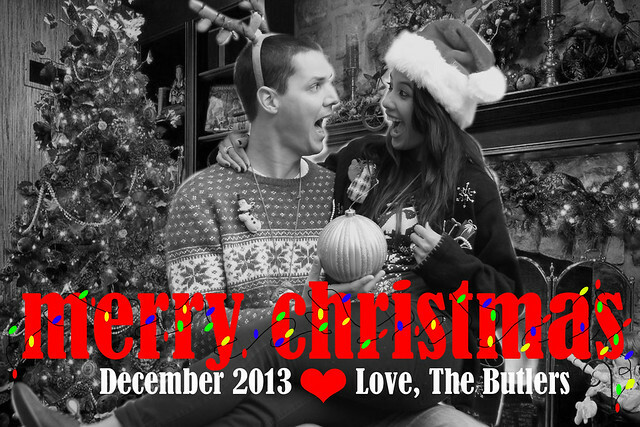 mark your blog calendars for December 4th (THIS Tuesday, people!) 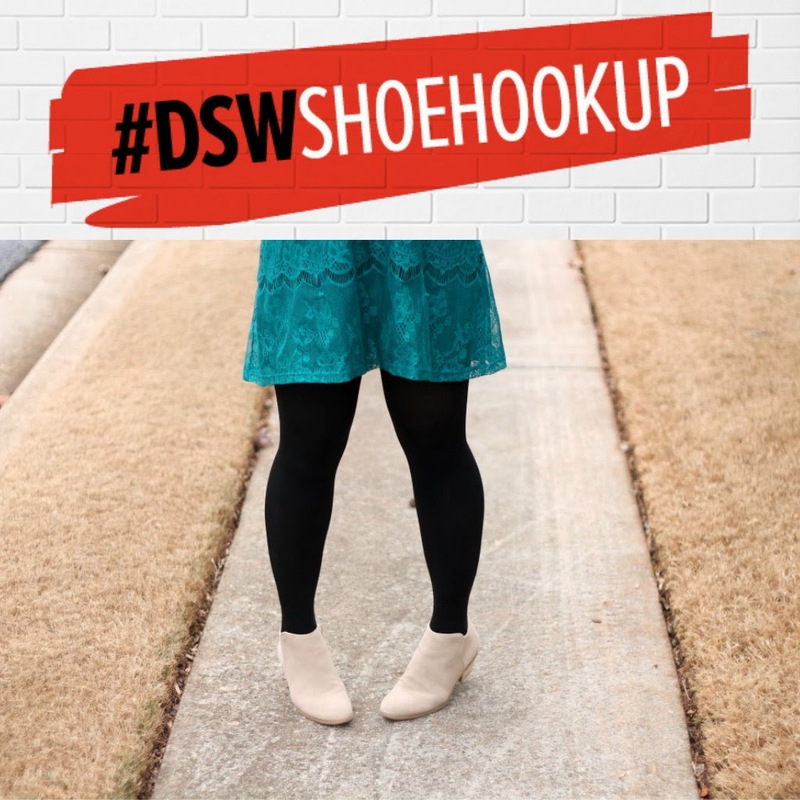 for a DSW massive shoe giveaway hitting blog world! 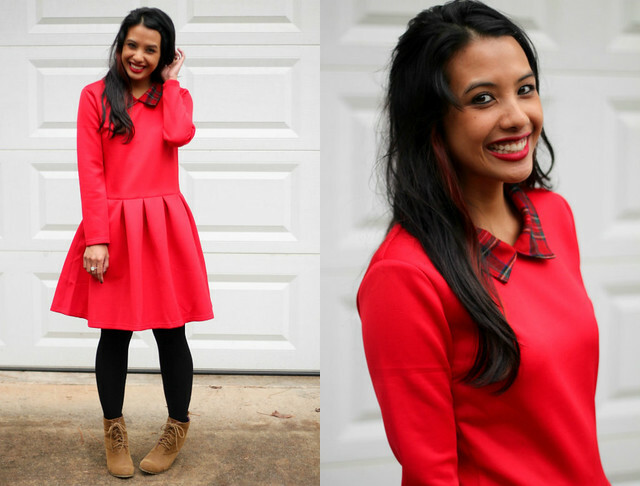 50 fashion bloggers (including me!) will be giving away 5 pairs of shoes and 5 copies of the NY Bestselling Book, Do You Speak Shoe Lover? 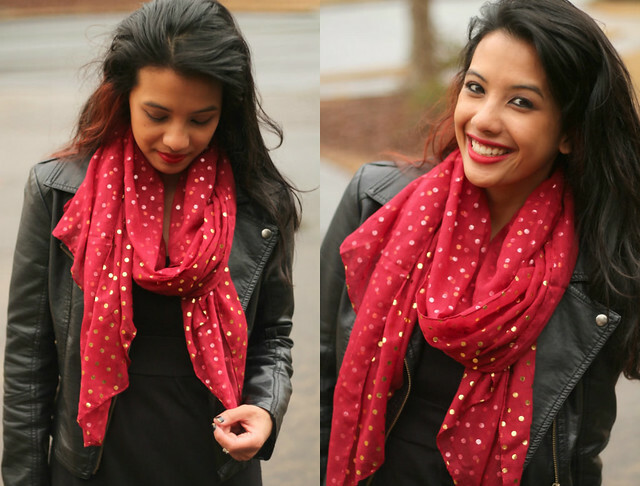 per blog - giving you more than a few chances to win! 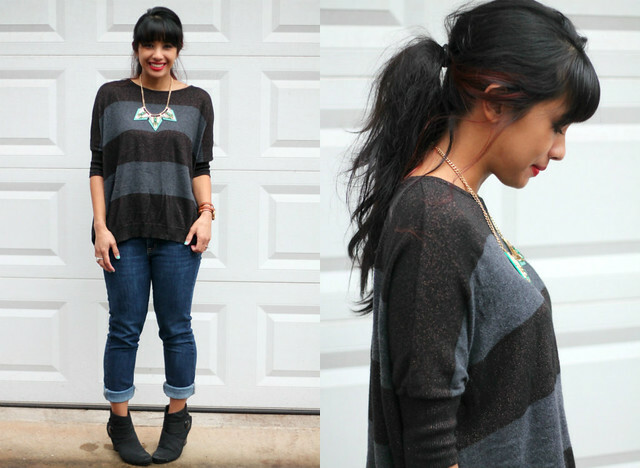 and see my new favorite pair of ankle booties in the above pictures? you can win a pair just like that or any other DSW pair of your choice. fuh-reaking reeeeaaals, you do not want to miss this one!